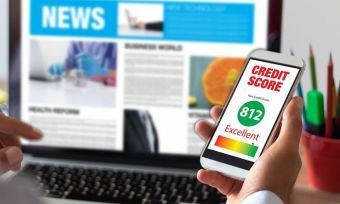 We explain how to apply for a credit card with bad credit – without being rejected by the banks and ruining your credit score further. If you have a bad credit rating, it’s not all doom and gloom. You can still apply for a credit card with bad credit, and there are still reputable lenders out there that can give you a second chance at being a responsible borrower. Of course, you have to do your homework first, and provide a lender with good reasons to give you a line of credit. If you just keep on applying for credit cards knowing you have a bad credit rating, you will continue to be rejected by banks and credit institutions. Lending institutions have lending criteria that they have to follow by law – so they can’t give you a credit card unless you meet those criteria. 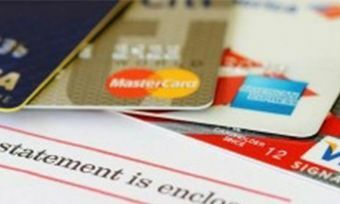 A lending institution is not legally allowed to give you a credit card unless you have enough annual income to meet the minimum repayments for that card’s credit limit. And you should never apply for a credit card if you can’t afford to repay your card in full each month, anyway – you may be better off using a debit card than getting into debt. If you don’t already have a regular job or a reliable source of income, don’t apply for a credit card just yet. You are likely to get rejected by major banks and other credit lending institutions, which creates another black mark on your credit report. How much of a job is enough? For those who have are employed as casuals or contractors, you may need to demonstrate a long-standing working relationship of more than 12 months with your current employer. What if I have multiple jobs? 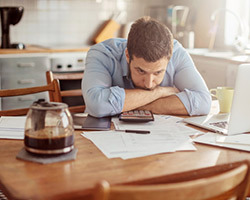 Having more than one employer in a short span of time doesn’t actually help you get a credit card with bad credit, because most lenders are looking for one or two stable sources of income to repay the card, rather than several smaller jobs. Lenders usually approve credit cards (or other types of loans) based on your repayment history with cards or loans you already have. You will need to demonstrate a consistent history of meeting your required monthly repayments over the past months. For credit cards, you will need to show that you’ve been making more than just the minimum monthly repayment, to show that you can actually repay the debt. You can check your credit rating and your credit history report for free with Veda Advantage (MyCreditFile.co.nz), Dun & Bradstreet (CheckYourCredit.co.nz), or Centrix (Centrix.co.nz). Read this article to find out more on how to do it. Why should you check your credit history report? You can’t improve your credit rating until you know what black marks you need to fix. And you never know what it might uncover – an unpaid phone bill that you can afford to repay now, or even an administrative error that is the whole reason why you have bad credit. 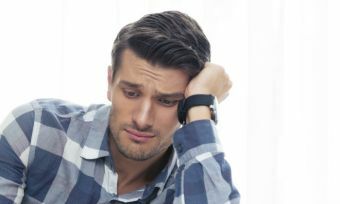 It’s easier to fix your credit report now than to apply for a credit card and be rejected, because being rejected is just one more black mark on your credit report. It’s essential to prove that you are not spending all of your income on your expenses and other debts, but that you are actually saving a small amount each week. This says to the lender that you have the finances to repay a credit card if they give it to you. Need some ideas for how to save money? You can start quite easily with these tips. You might even consider whether a debit card would fill your needs better than a credit card.